The present study explored risk factors for fall injuries among nursing home residents, with a specific focus on the influence of organizational structure within facilities and their environment, which have been insufficiently investigated in the European context. For the analyses, secondary data collected in 2016 from 220 nursing homes across Germany were used. As a risk adjustment, two separate models were calculated for fall injuries among residents without (N = 7320) and with cognitive impairment (N = 8633). Results showed that residents without cognitive impairment had a decreased risk of fall injuries by 40.1% (P < 0.01), while those with cognitive impairment were at an increased risk of 23.8% (P < 0.05) when living in facilities that had dementia care units. However, disparities were found between federal states for both groups of residents (P < 0.05 vs. P < 0.01, respectively). Similarly, a higher proportion of registered nurses were associated with decreased risk of fall injuries among cognitively impaired residents (45.6%), which differed between federal states (P < 0.01). Facilities with homelike environments had a 16.7% (P < 0.05) lower risk of fall injuries among cognitively impaired residents than did traditionally organized facilities. Further research is needed to explain the disparities between German federal states using representative samples. 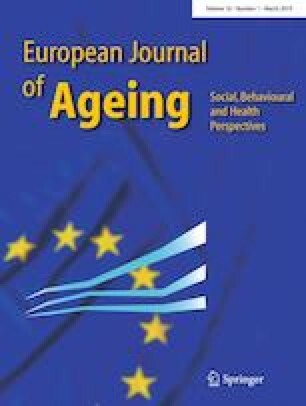 This work is a part of a dissertation project conducted within the scope of the Graduate School GROW – Gerontological Research on Well-Being, which is supported by the North Rhine-Westphalian Ministry of Culture and Science. The Diocesan Caritas Association in Cologne graciously provided the results of the Project EQisA, which were used in the study analyses.